For more than 20 years, the firm's founding attorney, Jeff C. Kennedy, has successfully defended thousands of individuals against a wide array of criminal charges. With his extensive knowledge of the law and skills in the courtroom, Mr. Kennedy can handle any case no matter the complexities involved. At his law firm, Mr. Kennedy provides personalized attention to each of his clients. He understands that each client's case has specific aspects that must be addressed individually, and he can provide effective defense strategies tailored to the unique circumstances surrounding the case. In order to provide this high level of service, his law firm only handles a limited number of cases at any given time. If you need the best defense possible for the criminal charges you face, the Law Offices of Jeff C. Kennedy, PLLC, has the experience and resources necessary to adequately fight for a positive outcome for your situation. 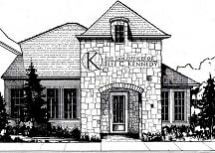 To find out how Mr. Kennedy can best serve your needs, you can take advantage of a free initial consultation.